Located in Broward County, FL, the City of Coral Springs serves as a principal city of the Miami metropolitan area with a population of six million people (per the 2015 census). Its alluring tropical weather, revitalized downtown, and awards in performance excellence have distinguished this South Florida community as a premier destination in which to live, work, and raise a family. Coral Springs continues to enjoy a vibrancy that is unmatched, evidenced by the city’s historically low crime rates, overall livability, and family-friendly atmosphere. Explore the small-town treasures that await in Lighthouse Point today! Coral Springs’ genesis began in 1911 when Henry “Bud” Lyons acquired over 20,000 acres of South Florida’s marshy wilderness and drained the area to develop farmland that specialized in the cultivation of beans, earning Lyon’s the nickname: Titan of the Beach Patch. In 1947, after a series of hurricanes flooded the area, Florida established the Central and Southern Florida Flood Control District (today’s South Florida Water Management District), which oversaw the construction of South Florida’s canal and levee network that further drained the land that would become present-day Coral Springs. Following World War II, South Florida’s real estate boom witnessed significant investment. 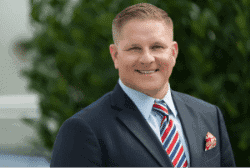 Coral Ridge Properties, a land development firm overseen by James Hunt, Joseph Taravella, and Stephen Calder, expanded westward into northwest Broward County. The firm purchased approximately 4,000 acres in 1961, allowing the land to become eligible for incorporation under Florida law. Two years later, the City of Coral Springs was chartered. Hunt’s vision for a beautiful and natural community came to fruition throughout the 1960s, when over 1,000 lots were sold–Johnny Carson was among the buyers. And over the next few decades, Coral Springs’ population surged, spurring the development of schools, shopping centers, and other iconic landmarks that stand today. Coral Springs offers state-of-the-art facilities, entertainment options, and educational programs for visitors and residents to enjoy, such as the AARP Driver Safety Program, which reviews local and state driving laws, defensive techniques, and how to safely operate a vehicle. Those with a disposition for the arts can visit the city’s Center for the Arts, the Coral Springs Museum of Art, or view the ArtWalk sculptures downtown, where an assortment of restaurants, hotels, and venues can also be enjoyed by friends and family. While Coral Springs is known for its quality schools and athletic programs, it also boasts an abundant park system. Residents and visitors can grab their blankets, picnic baskets, and view the free Movie in the Park series. During the holiday season, Coral Springs also hosts its Tropical Holiday Parade, which features marching bands, decorated floats, and other entries along Sample Road. Did you know… several professional athletes are from Coral Springs? In fact, NFL players Dan Morgan, Todd Weiner, Darius Butler, Steve Hutchinson, Cody Brown, and Sam Young, as well as the MLB’s Anthony Rizzo are all from the city. Need to get around? Catch a ride on Coral Springs’ Community Bus Service. The city also offers a Senior Ride Transportation Program! As with many cities in Florida, the personal injury attorneys at the Shiner Law Group encourage residents and visitors to exercise caution when enjoying the many dining, shopping, and outdoor excursions Coral Springs has to offer. Victims of personal injuries most commonly suffer back pain, knee pain, shoulder pain, joint pain, and concussion, and traumatic brain injury, all of which can lead to extensive medical treatment and rehabilitation, as well as long periods of disability or even a permanent inability to engage in gainful employment. In the event you or a loved have been wrongfully injured due to the carelessness or negligence of another, the seasoned personal injury lawyers at the Shiner Law Group are standing by to discuss your legal options in a free consultation. Don’t let your experience in one of Florida’s most beautiful cities be ruined by the ongoing stress of an insurance claim. Let us focus on the legal complexities so you can focus on recovery. Have you or someone you love been injured because of the negligent, reckless, or intentional conduct of another? Call us at (954) 999-9900 or contact us online for a free case review. The Shiner Law Group represents personal injury and wrongful death victims in Coral Springs and the surrounding cities.